Everything, it seems, has a vulnerability. For werewolves, it’s silver bullets. For Superman, it’s Kryptonite. For manufacturing, it’s rework. Rework means loss of throughput, which means loss of profit, which can mean death by a thousand rewelds. But, just as silver bullets can be dodged, and Kryptonite can be avoided, much rework can be prevented by adopting the appropriate technology. In 1902, Elias Gunnell, Charles West, and Lynford Geer launched the Manitowoc Dry Dock Co. to construct and repair wooden ships. Starting in 1925, West, then the company’s CEO, began building cranes on a subcontract basis for the Moore Speedcrane Co., a move that marked the beginning of a legacy of worldclass crane manufacturing. Today, Manitowoc Cranes, conveniently located in Manitowoc, Wisconsin, manufactures lifting solutions including crawler, boom, telescoping, and tower cranes. A culture of ingenuity is important for Manitowoc to better compete in a global market and to “Build Something Real” for its customers, investors, employees, and partners. In this case, Manitowoc’s ingenuity takes the form of applying the leading technology to reduce manufacturing rework and increase throughput. There were downsides to the traditional way of laying out each frame using manual measuring methods—for example, rework and all those associated costs. Parts located on the wrong side of a chalk line or parts welded on backwards because the holes were offset in the plate were typical errors requiring rework. Training new employees and cross-training veteran ones proved to be an ongoing challenge as well. There was also no effective way to catch if something was laid out or welded improperly without performing 100 percent inspection. Manufacturing lifting solutions involves miles of welds; that’s a lot of opportunity for error and rework. When all aspects of rework, such as work labor cost, lost production, and paperwork costs are added up, it can easily take a 30-percent bite out of productivity. For Manitowoc, like all efficiency conscious manufacturers, that’s an expense that’s unaffordable. 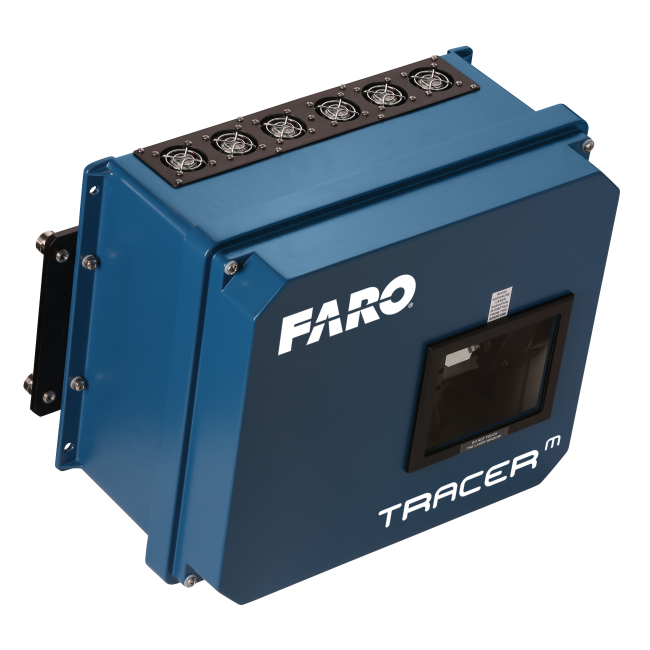 Manitowoc’s manufacturing engineers started the process of investigating rework solutions and then management made the decision to invest the capital necessary to upgrade to the FARO® TracerM Laser Projector. 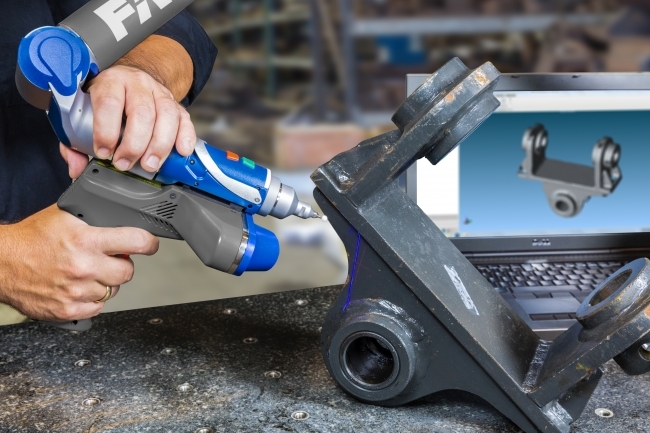 One can only imagine the revision headaches avoided with all changes made in the program itself—no more multiple blueprint revisions floating around the shop floor or squirreled away in a desk. The cost savings of less time to build the product and not having to perform rework on the assembly line is obvious. The subtle takeaway is that during lean market times, the technology cuts down on production time, thus increasing net profit. In boom times, the time to ROI decreases dramatically. From frame build to engineering to subassembly on fixturing tables, Manitowoc’s team continues to find new ways for the FARO TracerM Laser Projector to increase throughput, reduce rework, and lean out its processes— which, of course, improves its bottom line.